On a cold and dreary day, nothing is better than cuddling up in your warm home with the furnace blasting. During the winter months, your furnace works hard to keep you and your family cozy. At night, when the temperatures plummet, being without heat is more than a nuisance — it is downright dangerous. When fall arrives, it is wise to have your furnace serviced to ensure everything is ready for the winter ahead. However, with a pile of to-do lists, furnace maintenance can sometimes take the back burner. If you put off a furnace tune-up and suddenly you find yourself facing a failing furnace, we are here to help. 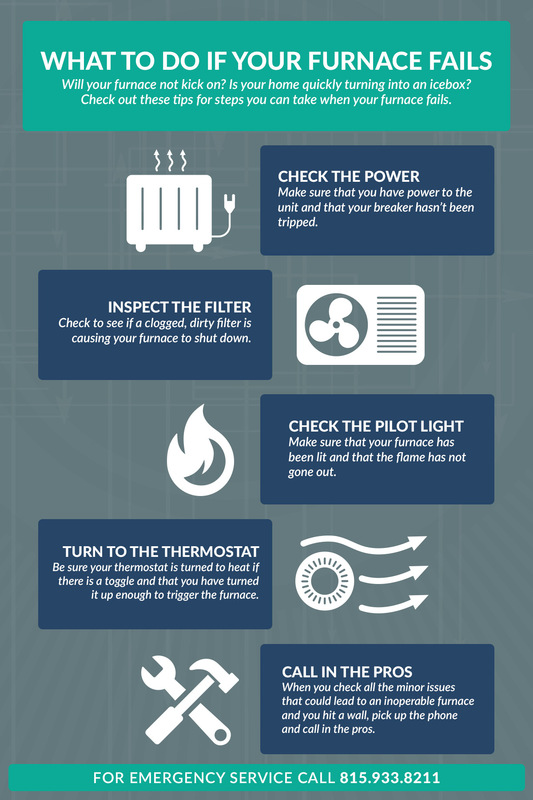 Check out these tips for what to do if your furnace fails and call in the pros for speedy repairs. 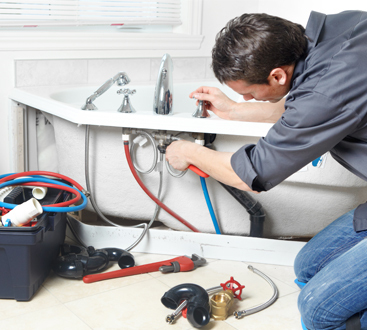 We are proud to provide quality heating services in Kankakee no matter what time of day or night you need us. While your furnace may have failed due to a flipped breaker or a simple mistake, such as not lighting the pilot, there are other reasons your furnace may fail that are much bigger. The following are some of the most common reasons we are called in for furnace repairs. 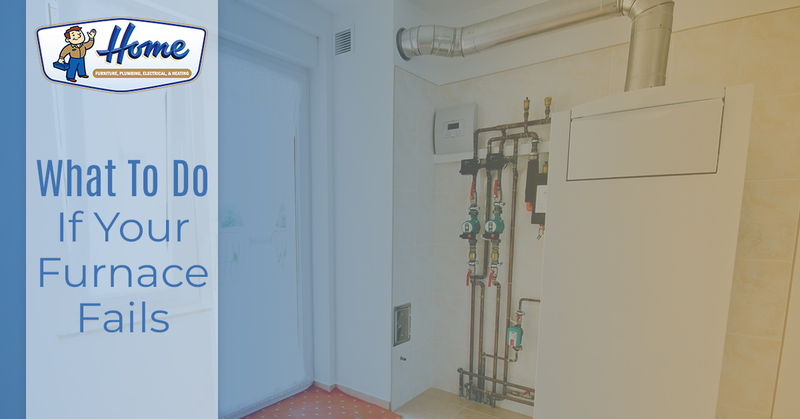 While you might not think of the filter on your furnace as being that big of a deal, it is actually a vital component to the operation of the system as a whole. If the filter becomes too dirty or clogged with debris, it can cause your furnace to shut down or operate inefficiently. For this reason, it is important to always replace filters at the beginning of a new season. If your thermostat fails, your entire furnace will become inoperable. Faulty thermostats are usually ones that are old and simply worn out. Upgrading to a new thermostat can help ensure your furnace runs smoothly and that you cut down on energy use. Your furnace’s ignition or pilot is responsible for igniting your burners. If this key component fails, your furnace will stop operating. Sometimes the pilot simply needs to be relit but, in other cases, the part may need to be replaced. Your blower has a limit switch that tells your blower when to turn on and off. Over years of use, this switch can eventually wear out and stop working. If this happens, you will need an HVAC tech to replace the switch so that your blower can cycle again. 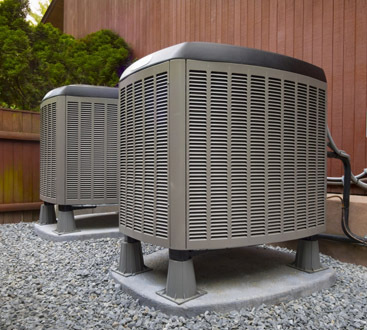 The reason air circulates throughout your home is due to the operation of your furnace’s blower motor. When this key component burns out, you will be left without heat in your home. A failed blower motor will require replacement. If your furnace has failed and all your troubleshooting has led to no success, give our team a call. We are available night or day to help you with emergency furnace repairs in Kankakee and surrounding locations. We are the heating pros you can turn to for everything from a simple tune-up to a full furnace replacement. Don’t wait in the cold, call our team today and return your home to a toasty, cozy state.